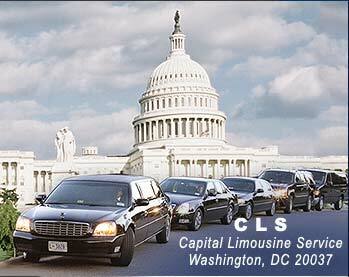 Capital Limousine Service, DC LIMO transportation service - a DC limousine service | DC Limo and Sedan service offering limo services to corporations, Government, Hotels , embassies VIPs in the Washington DC area. C.L.S. conducts security operations & investigations in the U.S, and Worldwide. Ride joyfully to a political meeting, a fund raising or an electoral campaign. With steel framed and lined doors, to bulletproof glass, our cars secure & luxurious. Our corporate services will exceed your expectations.